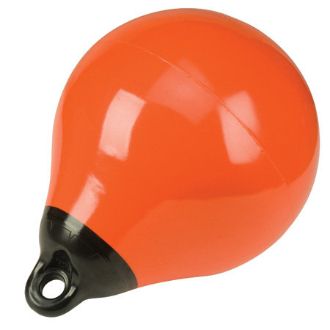 Our Products >> Taylor Made Tuff End Inflatable Vinyl Buoys 15"
Excellent for fenders, mooring buoys or markers. Solid vinyl ends for extra strength. Dual purpose Bivalve™ construction. Inflate using a hand pump and a football-type pin, or inflate using a foot pump or similar high-pressure device. Taylor Made Tuff End Inflatable Vinyl Buoys 15"